All puppies go through the painful process of growing in new adult teeth. While teething, puppies experience pain, discomfort and a strong urge to chew. 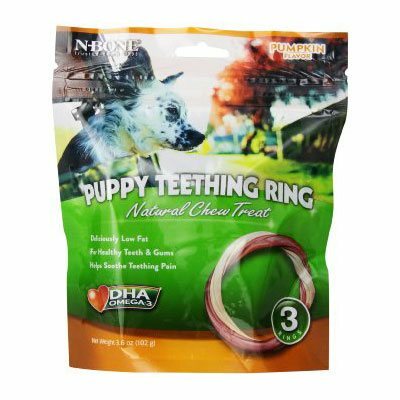 The N-Bone® Puppy Teething Ring's unique shape and pliable texture make an ideal teething aid, soothing pain by massaging sore gums.